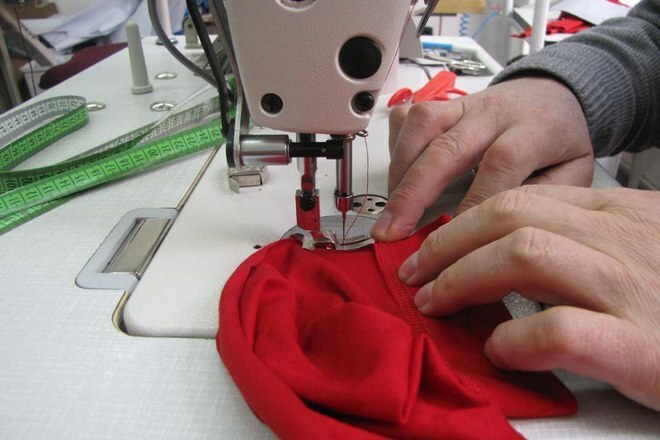 Garments sample play an important role for receiving a garments export order. Sample section of garments manufacturing factory has done this job. As a result, among all the others section like as cutting, sewing, finishing etc. sample section gets the maximum priority in demands. A garment merchandiser should have excellent idea about the process flow chart of sample making which will help him to facilitate the other duties of a garments export order. You may follow What Types of Documents Required for Apparel Buyer? pack contains all the require information about the garments order such as reference sample, measurement chart, print instruction, embroidery instruction, wash instruction etc. Here sample pattern has to develop according to tech pack (measurement chart) provided by the buyer. After developing sample garments pattern, fabric has to cut here by following the pattern. It’s a very important section to approve the sample in the very first shot. If tech pack contains print or embroidery instructions then those should be completed in the cutting fabrics according to the tech pack. measurement chart. It should be noted that, during sewing extra care should be taken to make fault free sample garments. Ironing or pressing has done in the garments here according to the measurement chart. After completing all the above processes, quality controller inspects the sample garments here by following the tech pack which is provided by the buyer. if arise any problem here then sample garments sent to the required section for making fault free garments. After checking the sample garments by the quality controller (QC), garments sent to the buyer for approval. If it’s approved by the buyer then garments merchandiser can start the next processes for the garments production. The post are very informative. mayedul islam vai how are you..